Today I am thankful for a God that forgives. At our St. Patrick's Day Party we played a game where we wrote a secret about ourselves and then we had to guess whose it was. My friend Renee is one awesome person and her secret was: I have broken all ten commandments. PRAISE GOD I AM FORGIVEN!. Now she didn't break them all physically but some mentally and some physically. I began thinking of how true this is especially for me. I have always considered my sins bigger than everyone else's. I have never stopped to consider that our Good Lord has forgiven them all- your's, mine, everyone's. I feel so blessed to have a Savior who died on the Cross with my name on His mind. Today I am thankful today that I am indeed FORGIVEN. Amen and Amen. 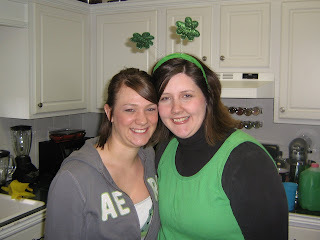 And here is a quick picture from the St. Patricks's Day Party- it is me and my friend Sara. 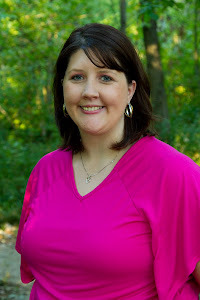 For more stories of Gratitude head on over to Heavenly Homemakers.